The Orlando Police Department has become the first American police station to employ the services of Amazon’s real-time facial analysis and recognition program Rekognition. Rekognition allows users to integrate image and video analysis while also providing real-time detection capabilities. The system comes equipped with object detection, person tracking, as well as the aforementioned real-time facial recognition. Although the OPD is the first to employ the systems real-time detection capabilities, the tool was already partially in use by at least one other agency. The Washington County Sheriff’s Office in Oregon used Rekognition’s facial-recognition capacity to check photographs of unidentified suspect against the county jail’s database of mug shots. The use of Rekognition by the OPD has already sparked some concern among privacy activists, primarily the American Civil Liberties Union, who is currently asking Amazon to stop marketing the facial recognition tool to law enforcement agencies. “With Rekognition, a government can now build a system to automate the identification and tracking of anyone. If police body cameras, for example, were outfitted with facial recognition, devices intended for officer transparency and accountability would further transform into surveillance machines aimed at the public.” said Technology and Civil Liberties Attorney Matt Cagle and Civil Liberties Director Nicole Ozer in collaborative publication for the ACLU regarding Amazon’s deployment of Rekognition to law enforcement. Currently the OPD is operating Rekognition as a pilot program and although no official statement has been release by the department in the midst of controversy, a quote from Orlando Police Chief John Mina can be found on Amazon’s Rekognition Customer Use Cases page. “The City of Orlando is excited to work with Amazon to pilot the latest in public safety software through a unique, first-of-its-kind public-private partnership. 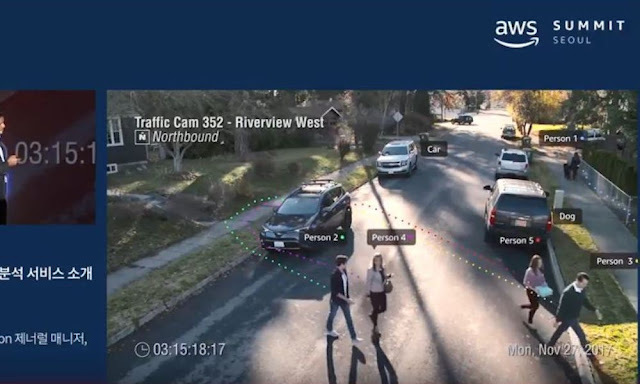 Through the pilot, Orlando will utilize Amazon’s Rekognition Video and Amazon Kinesis Video Streams technology in a way that will use existing City resources to provide real-time detection and notification of persons-of-interests, further increasing public safety, and operational efficiency opportunities for the City of Orlando and other cities across the nation” said Mina.